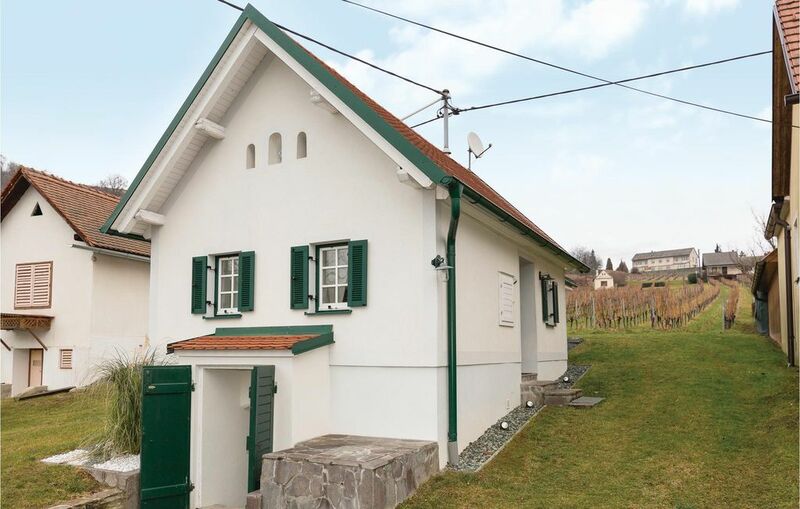 This small Kellerstöckl amid the idyllic vineyards of southern Burgenland will inspire you. The decor is simple but cozy. The bedroom is separated from the kitchen by a folding door. In the fridge you will find water on arrival. The cottage is located in a cellar lane along with other cellar Stöckln, but is still very quiet. Firewood for the wood stove can be purchased from the homeowners. In the garden behind the house you will find beach chairs and two benches and a barbecue, which is available to you. There is also the opportunity to buy directly from the farm some wines, ideal souvenir from vacation: Riesling, Burgundy and Gamay. 94% of the Gamay is grown in Burgenland. Three lakes provide cooling in the summer months: Castle (6 km) Königsdorf (43 km), Rauchwart (21 km).